_s, or underscores, is a WordPress starter theme meant to serve as a base for theme development. 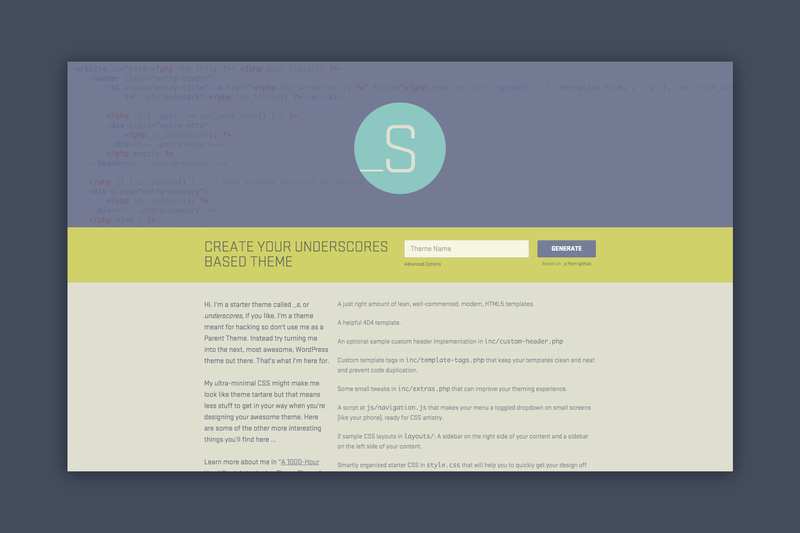 During an Automattic hack day, Konstantin Kovshenin and I came up with the idea of making an underscores website that would allow the users to generate their base theme more easily. During 2 days we created this project and it has been wildly successful in making _s more successful! We decided to feature the contributors to the project on the website. Shortly after this avatar wall was created, the number of contributors to the project skyrocketed.